Headed to the Mountains? We'll Do Our Best to Keep You Updated! 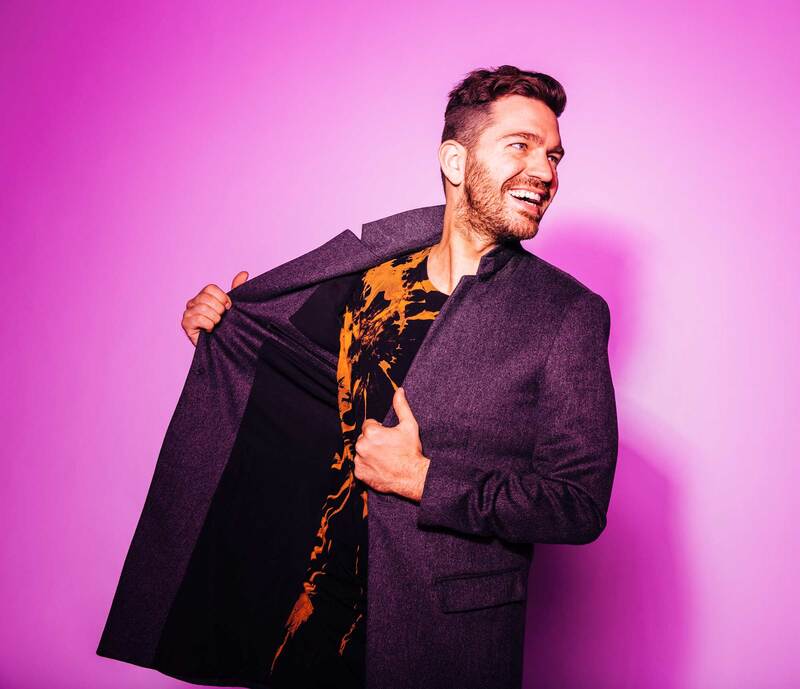 Andy Grammer has taken the music world by storm with a succession of anthemic pop hits, six of which are certified gold or better. His debut album featured the platinum singles “Keep Your Head Up” and “Fine By Me.” Andy’s second album, Magazines or Novels, featured the quadruple platinum worldwide hit “Honey, I’m Good,” which was one of the best-selling songs of 2015, and the certified gold anthem “Good To Be Alive (Hallelujah).” Andy’s third full length album, The Good Parts, was released in December 2017 and includes his global smash hit “Fresh Eyes,” which has become a global streaming phenomenon with over 350 million total streams, with a new album coming later this Spring. In just a few years, The Struts have found themselves massively embraced by some of the greatest icons in rock-and-roll history. Along with opening for The Rolling Stones, The Who, and Guns N’ Roses, the U.K.-bred four-piece was hand-picked by Mötley Crüe to serve as the supporting act for their last-ever performances. 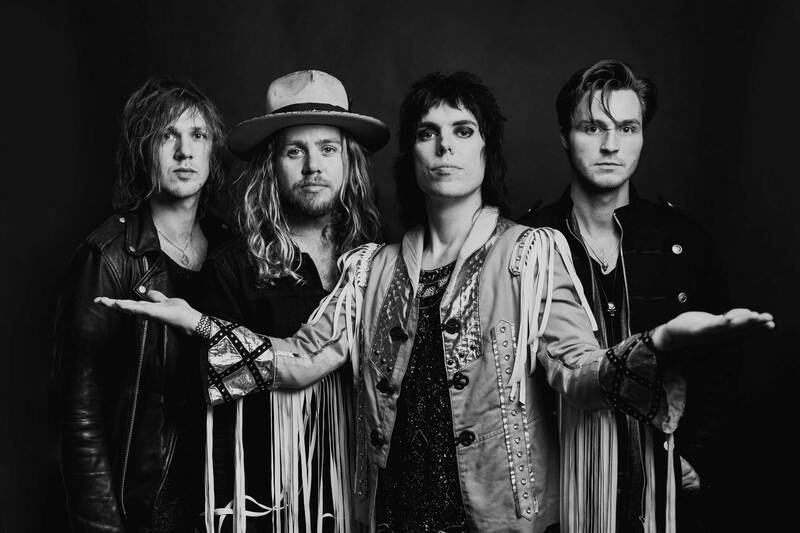 Formed in Derby, England, in 2012, The Struts almost instantly drew a major following with their outrageous live show, and later made their debut with Have You Heard (a 2015 EP whose lead single “Could Have Been Me” hit #1 on Spotify’s viral chart). Before they’d even put out their first album, the band opened for The Rolling Stones before a crowd of 80,000 in Paris and toured the U.S. on a string of sold-out shows. On their sophomore album YOUNG&DANGEROUS, The Struts let loose with the sing-along-ready and riff-heavy sound they’ve brought to stadiums and arenas all around the world. Working with producers like Butch Walker (Weezer, Panic! At the Disco) and Sam Hollander (Fitz and the Tantrums, Neon Trees), the band adorns that sound with deeper grooves and more inventive textures, dreaming up a majestic glam-rock revamp that’s unabashedly fun but full of pure heart. Come close out snow season with a splash and take a chance at Red Bull SlopeSoakers! A twist on the traditional pond-skim, the 8th annual SlopeSoakers contest gives competitors the chance to strut their stuﬀ across ﬂoating rails, helping Copper end another winter season in style. Open to both ski and snowboard categories, this unique contest combines a Slopestyle Rail Jam and a Pond Skim. Anyone (18+) who wants to test the waters can register for $30. 2019 will have larger ponds and bigger features so the chances to get wet are greater than ever before. Come one, come all, bring a guest, and hang loose. The Retro Shred-a-Thon a Copper Mountain is back! On Sunday, April 21st, 2019 from 9AM-4PM, High Fives Foundation and Phunkshun Wear will take over American Eagle Lift at Copper Mountain during the Sunsation event weekend to continuing raising funds for injured outdoor-sport athletes. Fundraising is open now through event date! All are encouraged to wear retro-style gear including one-piece snow suits, long poles, straight skis and other throw-back gear during the event! 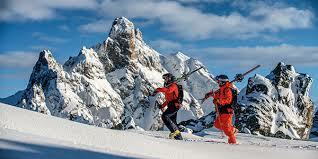 Awards and After Party will be held at Jack’s Bar after a full day of skiing and riding in the name of charity! *$45 (+$5 new Copper Card) discounted lift ticket will be provided for purchase on event day to Retro Shred-a-Thon participants only. Fundraising strongly recommended but not required. Lift ticket is required to participate. The snow continues to fall at Copper Mountain and there’s no better way to celebrate than with two unforgettable free concerts as part of the inaugural Snowsation. Catch The Strumbellas this Saturday, Dec. 1 in Burning Stones Plaza at 3 p.m. and Bad Suns Dec. 15. You won’t want to miss it! With some seriously great music, it’s the celebration of winter in the Rockies at its finest. Come sample menu items from our four new restaurants Toast & Co., Downhill Duke’s, Koko’s Hut and Ten Mile Tavern! Free to participate. 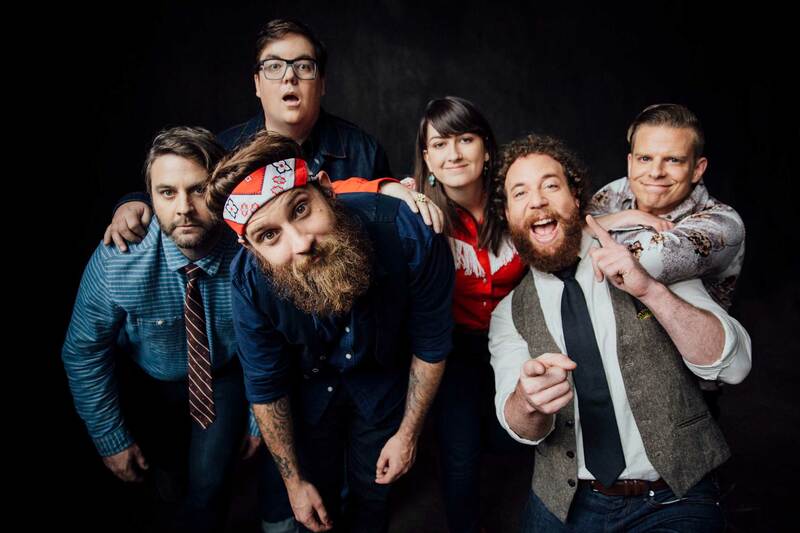 The Strumbellas know how to plot a long game. The six-piece collective may have rocketed to mainstream success two years ago with their breakthrough hit “Spirits,” but have always been thinking one step ahead. Their new single “Salvation”, marks a stylistic turn from their melancholy, introspective releases. Over a punching backbeat, vocalist Simon Ward sings optimistically of life and the good that it can bring. The band, which is currently in the studio working on its fourth album, is riding high on the success of its last project Hope. Come out to Copper to watch the best freeskiers and snowboarders in the world compete in the 22’ halfpipe. Athletes expected to compete are Chloe Kim, David Wise and more. It is free to attend! The event will also include a vendor village and live music. The best freeski and snowboard athletes in the world congregate at Copper for the U.S. Grand Prix halfpipe competitions. Athletes scheduled to appear are Chloe Kim, Arielle Gold, David Wise and more. This event is FREE to attend! The event will also include a vendor village and live music. 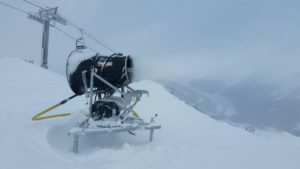 For more information, visit https://usskiandsnowboard.org/events/toyota-us-grand-prix-copper-mountain. 12:30pm – 3pm: Freeski Training. Breckenridge to open terrain on peak 7,8 and 9 of uphill riding of this winter season. 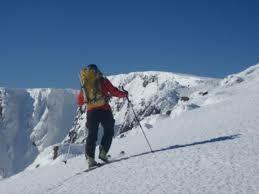 Hiking and skinning town through the Gondola Ski Back trail and ending at Vista Haus. Peak 9 will allow skinning up Silverthorne trail ending at the Peak 9 Patrol Hut. This access will be limited to 5 pm ending at 8:30 am daily. They are asking everyone to follow certain rules on the hill and call the hotline 970.547.5627 before accessing the areas, this line provides ongoing information about access and restrictions. With the 31 inches of new snow at Arapahoe Basin the chief operating officer, Alan Heneroth said by the enb of the week Lenawee will be open. Two feet of fresh since they opened and cold temperatures is nothing but good news. With some tricky snow cat work and avalanche control they should be able to continue to open up terrain weekly! Winter is upon us, get out there and enjoy all the snow – PLAY AND STAY! Free riding for your children is available for the 2018 / 2019 ski season with the Epic Schoolkids Colorado Pack, but only for a limited time! 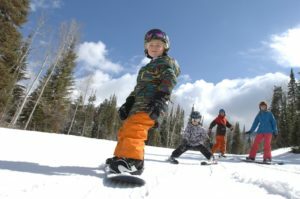 The Epic Schoolkids Colorado Pack provides 4 days of skiing or snowboarding at each of the state’s top-ranked resorts; Vail, Beaver Creek, Breckenridge, and Keystone for kids in Kindergarten through 5th grade. Packs are valid up to 4 days at each resort and are subject to holiday restrictions. There are some restricted dates, 11/23/18 – 11/24/18, 12/26/18 – 12/31/18, 1/19/19, 2/16/19 – 2/17/19, so be sure to plan your trips to the mountains accordingly. To Register in the Epic Schoolkids Colorado Program, here’s what to do. The Epic SchoolKids is only available for a limited time, but the deadline has not yet been officially announced. Don’t sleep on this amazing program – enroll your child today! Signup for the Arapahoe Basin Kids Free 2 Ski deal online or in-person by December 17, 2018. This program provides children ages 6 – 12 with 2 free lift tickets at Arapahoe Basin for the upcoming 2018 / 2019 ski season. There are some requirements, so please read all of the rules first. There are NO BLACKOUT DATES and you can sign up online, from anywhere! 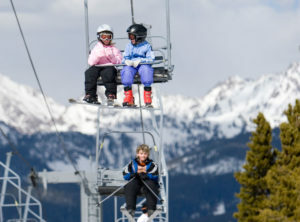 The second way to get free lift tickets is with the Epic Schoolkids Colorado Pack, which offers 4 days or skiing or snowboarding at each of 4 mountains including Keystone, Breckenridge, Vail and Beaver Creek. There are holiday blackout dates and some other requirements, but this is still an incredible deal! 4 days at each of the 4 resorts equals up to 16 possible free days out on the mountains – what!? Both of these programs not only offer kids ski free options, but they include lesson options too! 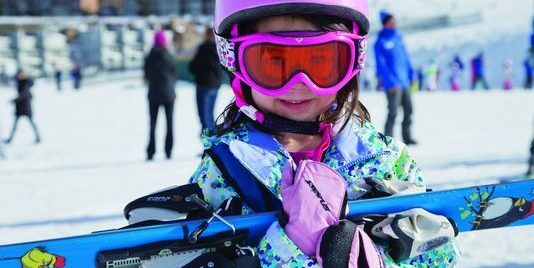 At Arapahoe Basin, kids can take advantage of a 50% off ‘first-timer’ ski or snowboard lesson if they qualify and are new to the sport. With the Colorado Schoolkids Program, a free one-time lesson is provided from 11/26 – 12/15, 2018 or from 1/17 – 1/31, 2019. Reservations are required for all lessons. The rumors are true! Kids do ski free in Colorado! Take advantage of these great offers this winter and save some money on your upcoming vacation. Be sure to read the fine print on both programs and signup prior to your visit. Now that you have your child’s lift tickets, time to book your lodging? Speak to a Rocky Mountain Resort Management Vacation Specialist today at 888.700.2754 Ext 100 or book a vacation rental online.